I, like so many others, believed the meaning of “apocalypse” to be that of disaster and devastation. I knew this was not what the Mayans had intended and my intuition told me there was no end-of-the-world, in the physical sense, meant for us come 12-21-2012. It was about the end of the cycle which had predominated our world for millennia. This “ending” was also a beginning – an opportunity for new, higher vibrations to enter and predominate our physical and spiritual realities. All we had/have to do is open up to it and be willing to change the way we respond to the people, places and things in our world. It’s not for me to say what that prophecy, disclosure or revelation is for each person. What I do know is that this new beginning filled with higher vibrations can be anything we each wish it to be. The proverbial slate has been wiped clean in a sense and all possibilities are on the table for consideration and implementation. It’s up to each of us what we choose to do and even choosing to do nothing is a choice. For me, the Age of Aquarius has arrived and, with it, an infinite of possibilities. It’s time to reconnect with my inner child, who looked at life with awe and dreamed the “impossible” dreams. Nothing is impossible if you believe in it strongly enough. Time to wish and dream and believe again. Join me, won’t you? A Full Moon in Cancer happens on Friday, December 28th at 5:21 a.m. EST. It is here, in its home sign, that the Moon’s energies produce extremes in both the highs and lows of emotions. Neither lasts long, for like the tides of the seas, these emotions ebb and flow quickly. This Full Moon makes for one of intuition and psychic development. Pay heed to those strong hunches or “gut” feelings. With the Sun in Capricorn and the Moon in Cancer, there is a tendency toward thriftiness, prudence and economy, but there is also a possibility of selfishness. Home life is key right now and the desire to be home may be strong. This can also be a time of sentimentality. Memories can bring both smiles and tears during this Full Moon, especially when they are about family. All in all, it can be a warm and wonderful time, if you pay heed to the swings of emotion and put emphasis on the good. Mercury enters Capricorn on Monday, December 31st at 9:30 a.m. EST bringing with it the energies to make the mind steady, serious and sincere. This makes it an excellent time for long periods of deep meditation as the mind is easily focused. This is also a great time for projects involving math and science. The memory is strong during this transition. A couple drawbacks to this transit are that one can appear to be handing down commands to those around them and how one presents information to others is important now. The other drawback is that Capricorn, being ruled by Saturn, can cause one to be too serious. It is essential that you consciously look for reasons to be optimistic and cheerful to avoid this. The practicality of Capricorn can be advantageous to the Mercury’s mental qualities, if used wisely. On Tuesday, January 8th, Venus will also enter Capricorn at 11:11 p.m. EST creating the possibility of jealousy along with being touchy and very particular about the attitudes of others towards you. As always, Capricorn brings with it practicality and, in this instance, we’re talking about Venus and the love nature. That can cause one to take a very serious look at possible partners. Sometimes it causes one to look for partners that are older. On feeling rejected, these energies can make one cold and antagonistic. As long as one feels loved, there is faithfulness. Saturn, ruler of Capricorn, almost always bring lessons with it. Here, there may be lessons concerning love and/or being in a relationship. No matter how you look at it, it’s an opportunity to learn and grow. Here we are at the end of another issue and at the end of 2012. No one can say it hasn’t been interesting! May the stars be your guide into and through an awesome New Year!!! 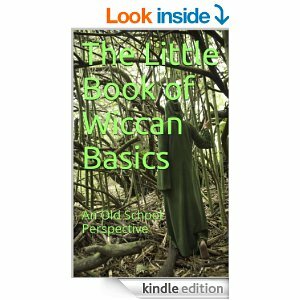 This entry was posted in Astrology and tagged Apocalypse, Magick, Metaphysics, Paganism, Prophecy, Revelation, Self-Empowerment, Self-Help, Spirituality, Transformation, Wicca. Bookmark the permalink.